Theodore Roosevelt is moored and homeported in San Diego undergoing a scheduled Planned Maintenance Availability. 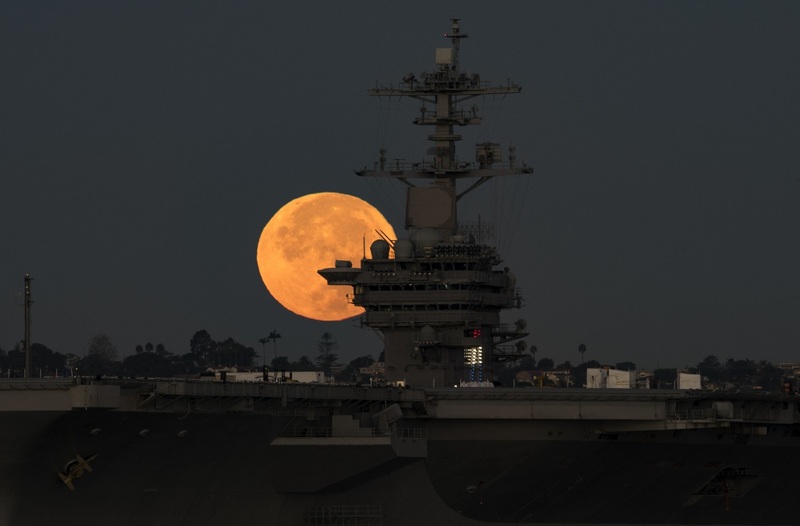 Taken on Nov. 14, 2016 the breathtaking pictures in this article feature the brightest moon in almost 69 years as it sets behind the aircraft carrier USS Theodore Roosevelt (CVN 71). Noteworthy Theodore Roosevelt, whose first deployment was a six month patrol of the Mediterranean Sea which took place between Dec. 1988 and Jun. 1989, is moored and homeported in San Diego undergoing a scheduled Planned Maintenance Availability. 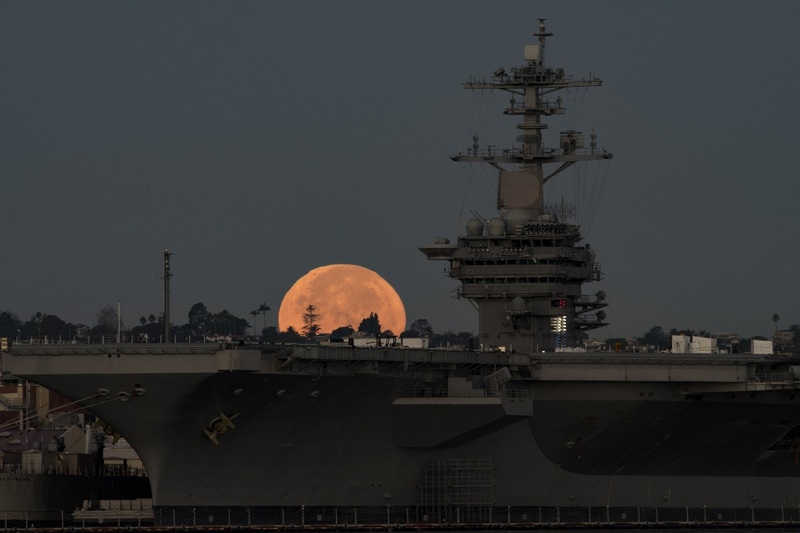 In 2015, the Big Stick (as the aircraft carrier is called by its crew members who acknowledge President Theodore Roosevelt quote–“Speak softly and carry a big stick”) was part of the unprecedented Three Carrier Hull Swap, shifting homeports from Norfolk, Virginia, to San Diego, California. The Three Carrier Hull Swap allowed USS Ronald Reagan to shift to Yokosuka, Japan, and USS George Washington to shift to Norfolk. The Three Carrier Hull Swap took place in preparation for USS George Washington’s refueling phase and prevented thousands of Sailors from having to relocate across the country or overseas.